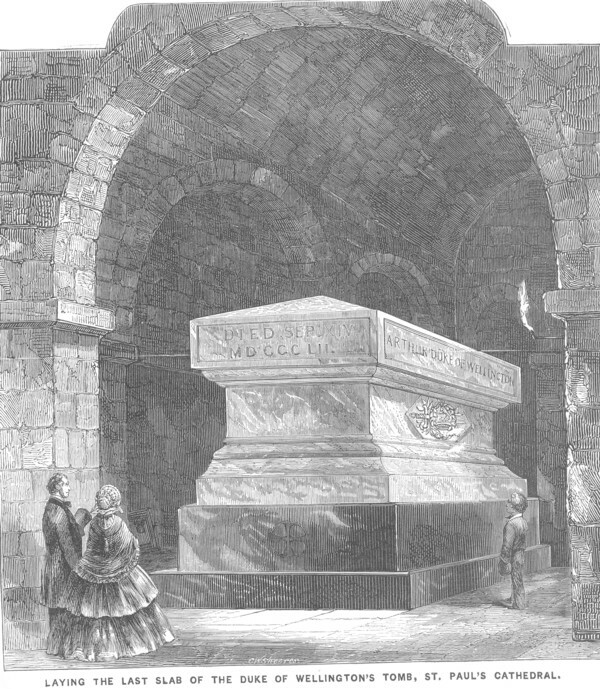 On the preceding page we give an engraving of the tomb of the late Duke of Wellington in St. Paul's Cathedral. It is at length completed. The final slab was placed on it Saturday the 17th ult., in the presence of the present Duke and many other distinguished personages.